All equipment is selected upon a quality to value ratio weighted towards very good quality and a good price. We're proud of what we sell... Unlike big box stores, we offer personal service and no hassle sales. Every product at Gold Sound is carefully chosen for superior sound quality, reliability & value. Recent issues of STEREOPHILE & ABSOLUTE SOUND recommend 100 of our products. STEREOPHILE & ABSOLUTE SOUND give Prima Luna seven recommendations, the most of any amp company. ABSOLUTE SOUND has over 60 recommendations for equipment we carry. including Cambridge, Focal, Grado, Kimber Kable, Marantz, Ortofon, Parasound Halo, Pro-ject, Rega, Sumiko, VPI & more. Some of the following reviews are from the leading English audio magazines, including WHAT HI-FI Sound & Vision, HI-FI CHOICE & HI-FI NEWS. Our newest speakers are the ELAC ADANTE AF-61 floor standing, which is STEREOPHILE RATED CLASS A with $50,000 speakers & the AS-61 stand-mount models. Both are real game changers. The smaller speakers have better bass, 3-D imaging, dynamics & overall sound than many far larger speakers. The larger speaker is easily the best tower we've heard. If you have a larger, more open room & would like room-filling volume, these are the speakers for you. Unlike many higher end speakers, Adantes are easily powered by more affordable electronics. Both STEREOPHILE & ABSOLUTE SOUND have repeatedly called the Adantes the best speaker dollar value. GRADO Cartridges ALL MADE IN N.Y.
All except iGRADO are Handmade in N.Y.
SR60e A leading consumer magazine, rated the $79 Grado SR60i above 26 more expensive models, including six Bose, two Beats by Dre, a $300 B&W, a $400 Sony, a $300 Monster, a $350 Klipsch, $400 PSB, a $350 Sennheiser, a $130 Audio-Technica, a $400 Shure & many other headphones. "Full bass & excellent detail resolution." SR80e, $99, A leading consumer magazine rated the $99 SR80i as the best of all 37 headphones tested & a BEST BUY. The Grado SR80 is rated above 25 more expensive models, including six Bose, two Beats by Dre, a $300 B&W, a $400 Sony, a $300 Monster, a $350 Klipsch, $400 PSB, a $400 Shure, a $350 Sennheiser, a $130 Audio-Technica & many other headphones. BEST BUY, HEADPHONE UNDER $280, HI-FI CHOICE "The Mighty Mouse of headphones; superb midrange transparency & natural dynamics. Well-balanced treble, well-defined bass. Can be driven directly from an iPod or other digital player. Comfortable." "Musical, detailed sound makes them truly a top buy." "Greater treble extension & more efficient than another companies' $600 headphones." GR10 In-Ear headphone, $399, "The first thing I noticed was the quality bass response, which was mighty impressive. One will surely appreciate their honest, yet deep reaching low-end frequency response, able to set off the part of my brain that responds to low-end thunder. Grado was conscious of the bass overpowering other frequencies & thankfully this does not occur. The GR10 midrange is most noteworthy." "The treble was well served by the GR10. It echoed not only the fine traits of the bass & midrange, but also reflected well on the Grado engineers' decision not to overtax the driver. The treble was well integrated, never drawing undue attention to itself, but at the same time demonstrating its ability to render any instrument very lifelike." "Nothing comes close. If you want to hear what your music really sounds like, the GS1000 will prove irresistable." recommendations, the most of any solid-state amp. "Remarkably high neutrality; superbly built. ONLY RECOMMENDED PHONO STAGE UNDER $500. Tested Power: 8 ohm, 499W, .1% dist; 582W, 1% dist. ; 4 ohm, 609W, .1% dist; 836W, 1% dist. "The JC1 apparent bass response was far better than I'd ever heard before, demonstrating low-end reach that I just didn't expect. Subtle ambiance, imaging & the soundstage were all staggering. The placement of instruments had a more realistic feel. On Fleetwood Mac's "Dreams," the crisp highs & Stevie Nicks liquid vocals never sounded so good. I no longer felt the need to integrate a sub into my two channel listening." 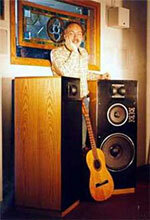 "Parasound's Halo amps get my complete standing ovation. The JC1 left my jaw on the floor & the A51 proved to be a superb complement with multichannel music & soundtracks. They made me a true believer. It's rare that any amp wil have such a profound effect, but these provided one I never wanted to let go of & the JC1 / A51 combo has now found a permanent home in my reference system. I can't give a higher recommendation than that." P7 $2295, HOME THEATER, highly recommended; "The perfect choice for those looking for a preamp that won't be outdated a year later & who want an audiophile grade preamp for 2 channel & multichannel sources. At $2295, its value is a testament to Parasound's ability to deliver world-class audio at prices that are actually realistic & attractive. With the right front-end device, you have everything you need for an involving sonic experience that'll knock your socks off." The same issue has a test of a $6000 McIntosh MC8207, 7 channel power amp, with the same power as a $8500 MC207 amp. Parasound's A51 amp is $1500 - 4000 less, has 40% more 8 ohm power, won a higher value rating & is the amp the reviewer purchased. 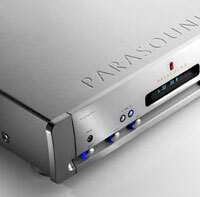 "Parasound's Halo amps get my complete standing ovation. The JC1 left my jaw on the floor & the A51 proved to be a superb complement with music & soundtracks. They made me a true believer. It's rare that any amp has such a profound effect, but these provided one I never wanted to let go of. This combo is now my permanent reference system. I can't give a higher recommendation than that." PROLOGUE ONE, $1799 "My astonishment at the level of value couldn't be more genuine. 42W/ch into 8 ohms; 47W/ch into 4 ohms. Boy oh boy can I recommend this amp. Lustily, heartily & enthusiastically recomended." HI-FI CHOICE chose the top hi-fi of all time. Quad is the highest ranked speaker. "The British Gold Standard; first practical full-range electrostatic; wide dynamics & delicate transparency weaves an unmatched spell." Models can have black grills & tops; or in classic finish with gold weave grills & solid mahogany wood tops. ESL988, A rated, $6499/pr, black; $7149/pr, classic; in same class as $39,000 models. ALL MADE IN ENGLAND & INCLUDE TONEARM & HINGED DUST COVER. 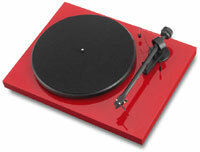 ABSOLUTE SOUND RECOMMENDS 3 REGA TURNTABLES, THE MOST OF ANY COMPANY. THE ONLY TURNTABLES ABSOLUTE SOUND CALLS "ONE of the GREATEST BARGAINS of HIGH END AUDIO" are the REGA P1 & P6. P1, $475, STEROPHILE's most affordable recommended turntable; includes installed diamond needle cartridge. WHAT HI-FI, 5 stars, "Excellent budget product; terrific performer for the money; easy to use & set-up; fine build" includes cartridge, improved tonearm & phenolic platter, l7.4xl4x4.5"
EXCEPTIONAL VALUE. In same class as $2000 turntables. "Compared to the P3-24, the RP3 sounded leaner & cleaner with a tighter & better controlled bottom end. The P3 is a plug'n'play package that's beautifully built, well engineered & sounds wonderful. Compared to the VPI Traveler, the RP1 consistently produced faster transients & more aggresive, precise imaging for an overall sound that was snappy & exciting." EXCEPTIONAL VALUE, "Got the job done." "Strong bass power, extension & focus. Wide-open soundstage, plenty of detail & shimmering, well-balanced top end without brightness or edge." In same class as $1600 cartridges. "Vibrapods are small, flexible vinyl pucks that can transform a system. Put them under speakers & electronics & hear bass extension & smoother highs. Vibrapod Cones - use them as stand alone footers or combine with Vibrapods to get even more out of your system." 1] 10" tonearm for reduced tracking error. 2] 24 lb. total weight, reducing feedback or unwanted resonance. 3] 8 pound platter weight, for better speed consistency. 4] Large AC motor, for better speed consistency. 5] RCA jacks, allowing easy cable upgrades. 6] Four 2" high conical aluminum feet, with rubber tips, reducing feedback or unwanted resonance. No other turntable anywhere near the Traveler's price has all these features [except for other VPI models]. "Piano sounded far more delicate, natural & controlled than I'd ever heard. Outstanding low end control & awesomely silent backgrounds. I began sending delirious text messages to audiophile friends. Intoxicating, almost magical." Copyright © 2006 GoldSound, Inc.
10.1, Bookshelf, $349 / pair. "a reviewer's dream. The dynamic articulation & soundstage were what I'd expect from a $2000 speaker." Another great audiophile product line from Sumiko. Excellent sounding turntables, great looking great values and reviews. Starting $299. Also availabl e built-in pre-amp and USB for connection to computer for $399. We have a good selection of used turntables. We also have new cartridges, stylus and needles. Call us with the brand and/or model number to check if we have a replacement part for your cartridge at: 303-789-5310.